The Semi di Lino Volume Magnifying shampoo for fine, thin hair amplifies your hair with wheat proteins, and adds great body and lift. 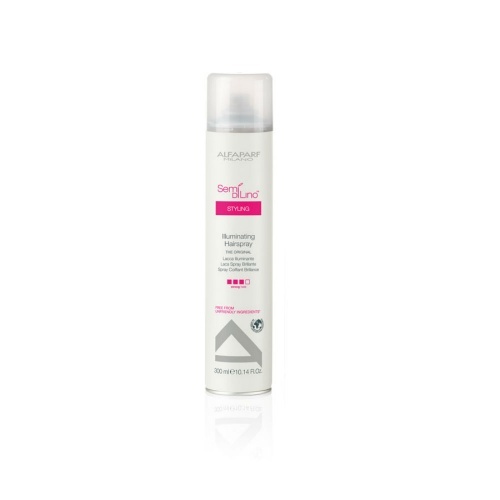 With it's anti-static properties, colour intensifier and long lasting shine this volumising shampoo keeps your hair looking looking fuller for longer. Directions; Apply to wet hair, massage thoroughly and rinse. I looked online for a great shampoo and conditioner. This brand came up in a well known magazine as a favourite of one of the staff. The cost is less than I have paid in the past. I have fine hair but plenty of it! My hair after 2 uses feels plumper and looks less stressed. The service from Merritt was fabulous and quick. UK small company in the northwest and I will definitely use them again. First time I have bought this & going to buy again. Most shampoos seem to make my hair look flat, limp & oily & I’ve tried loads but so impressed with this one. The only thing I don’t like is the rigid container the shampoo is in as it can be quite difficult to get the shampoo out. Would much prefer it to be in a tube which would make it much more user friendly. It was first time ordering off your site and first time using Alfaparf and I was happy all round, delivered quickly. These products are excellent and keep my fine, flyaway hair under control.A little goes a long way, and the fragrance is really lovely and subtle.